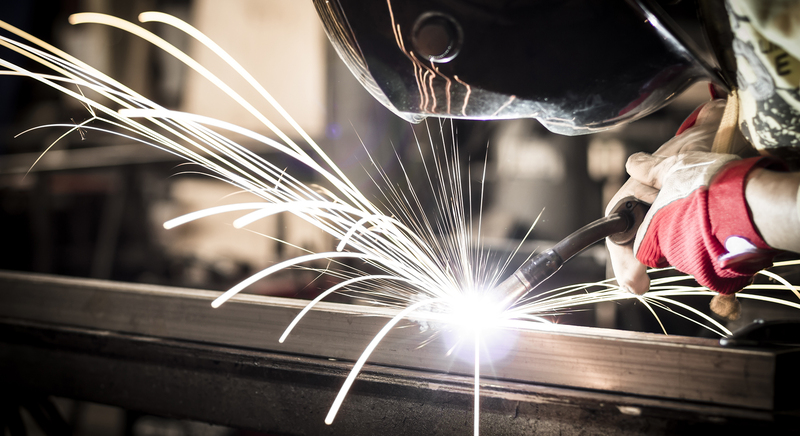 ASME qualified weld procedures for all applications: carbon and stainless steels, high-nickel alloys, Stellite, and many more. Hundreds of repeat customers each year: fast-turnaround, deep industry knowledge, and dependable service is our guarantee. When our customers call, we answer. When our customer sends a message, we respond. 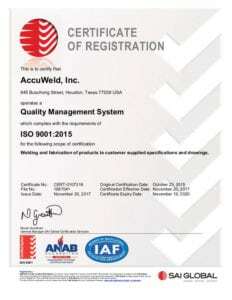 At AccuWeld, we don’t manufacture anything…except the BEST CUSTOMER SERVICE. This is our #1 Core Value—always has been, and always will be. Knowledgeable & experienced to meet tough industry accuracy and efficiency standards. Hundreds of certified welding procedures for all alloys. New ASME qualifications to meet customer needs & difficult performance criteria. Competitive costs. Unbeatable turnaround time. that prides itself on the commitment to provide parts on time, on budget, and with the highest quality. 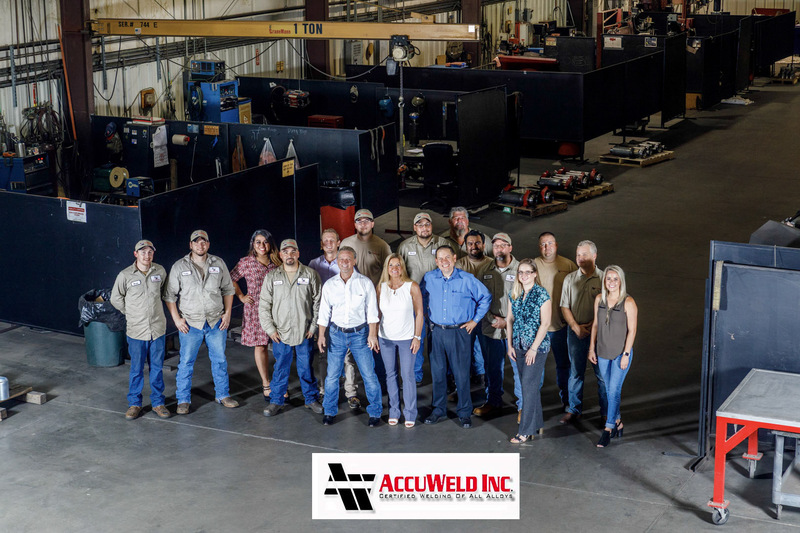 It is this company-wide commitment to our customers that has allowed AccuWeld to grow into one of Houston’s premiere welding service providers. 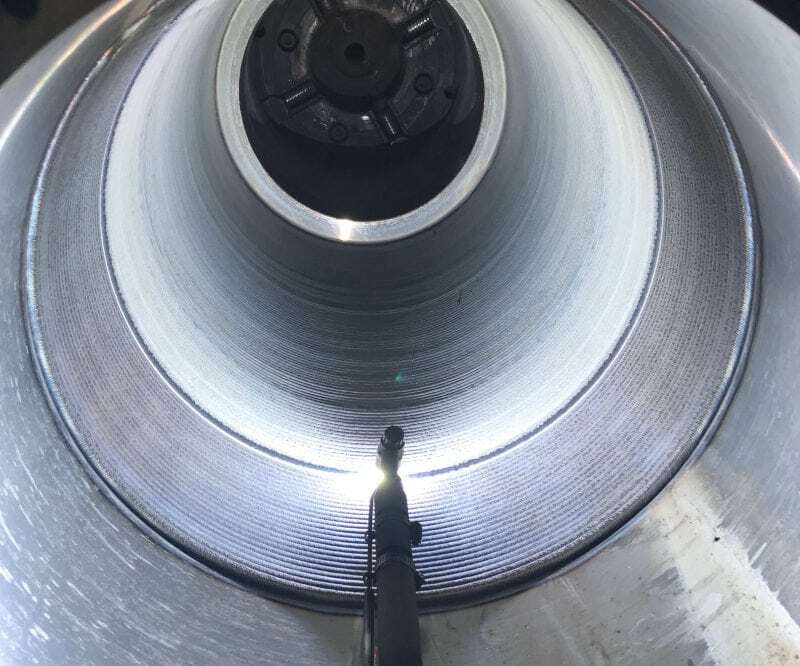 has developed over 300 Weld Procedure Specifications covering a wide range of materials and welding applications from Inconel to Stellite hard facing to cryogenics. 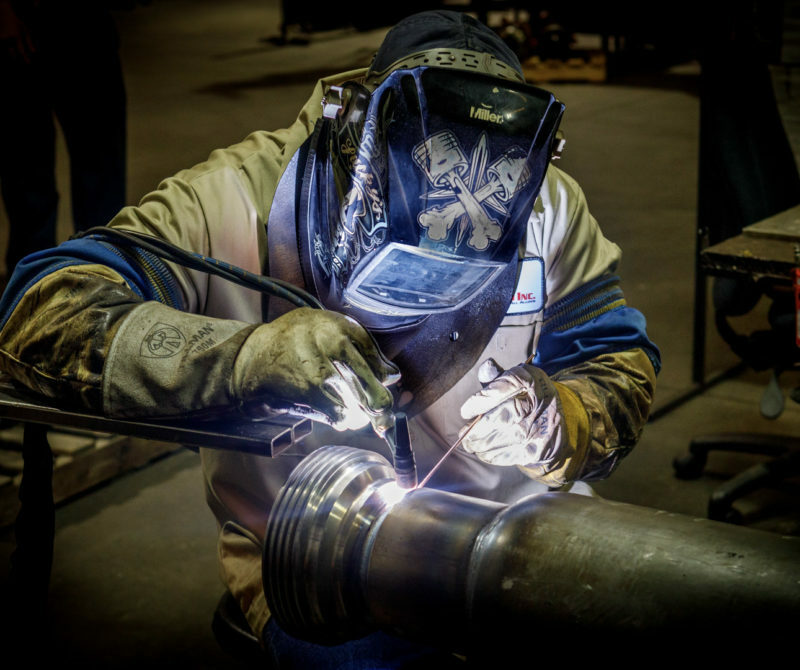 And we are constantly adding new Weld Procedure Specifications to meet the demands and challenges of our customers.